City Canyons Records will feature its artists and special guests in the new City Canyons Residency at The Gate House beginning on March 10 at the Gate House Bard and Restaurant on 301 South End Avenue. City Canyons recording artist Jen Elliott and her songwriting partner Anne Husick will be featured for the month of March with other City Canyons' artists and guests to follow. Battery Park City's own City Canyons Records has released six albums to international acclaim, albums featuring songs that have topped charts on independent, college and public radio stations around North America and the world-- but now the downtown label is bringing it all back home with free unplugged performances by its recording artists and special guests at the City Canyons Residency at the Gate House Bar and Restaurant beginning on Friday, March 10th from 9 p.m. to midnight. The Residency is planned to continue through 2006. 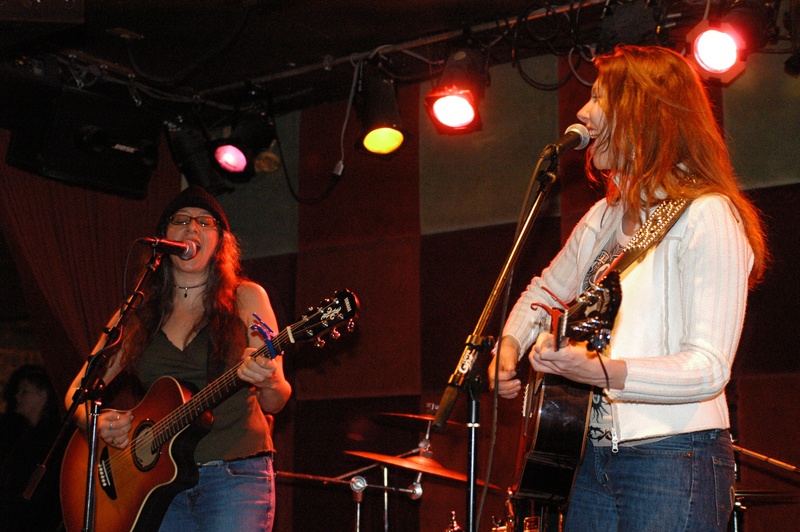 The first performances at the Gate House, located at 301 South End Avenue just south of the World Financial Center, will be by Jen Elliott of Jen Elliott and Bluestruck and her songwriting partner Anne Husick. The duo will be playing acoustic sets featuring songs from Jen Elliott and Bluestruck's new album, 8 DAYS DOWN and Ms Elliott's debut album THE SECRET'S OUT, as well as other tunes by the prolific Husick/Elliott songwriting team. Ms. Elliott and Ms Husick will perform through March. In addition to playing guitar and singing background vocals with Jen Elliott and Bluestruck, Ms. Husick has performed with a wide variety of artists including Ronnie Spector and the late Wilson Pickett. Ms. Elliott and her band have opened for legendary guitarist Nils Lofgren and Australia's famous Little River Band. Both Ms. Husick and Ms. Elliott have been selected to perform by the Songwriter's Hall of Fame. One music writer said of Jen Elliott's live performances, “Jen Elliott has the goods. Fusing the sensibilities of the Rolling Stones with the Ronettes, she manages to be tougher and sexier than either." "I'm delighted to be offering Battery Park City and downtown residents such high quality entertainment, and at no charge," said Joe McGinty, manager and part owner of the Gate House, an establishment offering a full bar and a varied menu of American food. "We look forward to welcoming our customers to many, many fine Friday night performances by City Canyons' exciting group of artists during the City Canyons Residency at the Gate House." "We're happy to be connecting musically with our neighbors offering them this free entertainment," added Trebor Lloyd, head of the indie record label. "And the Residency will make a nice supplement to our successful ongoing showcases with full bands at The Red Lion on Bleecker St. Hopefully we'll generate a little musical traffic on the part of fans who want to see their favorites both plugged and unplugged." City Canyons Records features an international roster of artists including artists from the United States, the United Kingdom and Finland. More information on City Canyons Records and its artist are available at http://www.citycanyons.com.